village is on duty in the next year. share negotiates the internal rotation sequence among its member villages. once every eighty years; depending on which village he/she lives in. Researching Liu Fang Ma and the Guolu celebration is not easy. understanding of Liu Fang Ma. 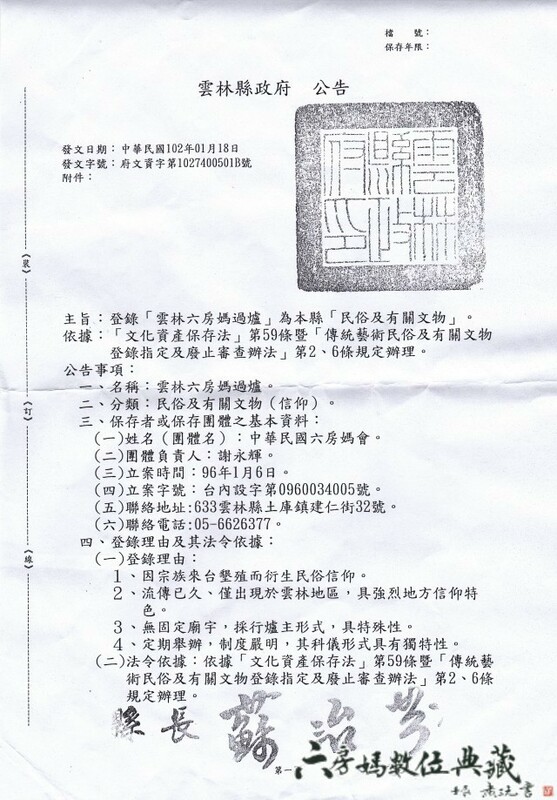 conservation, the ROC Liu Fang Ma Association ( 中華民國六房媽會). comprehensive guide to the Liu Fang Ma belief and the Guolu celebration. sections of theses or supplemental materials by co-authors. the hydraulic projects that attracted Han settlers. 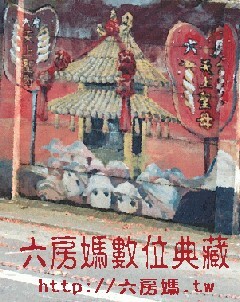 ( 大林). e branch ceased to be a share in the rotating Liu Fang Ma. a legendary old age of over 360 years, thus it occupies the paramount status. than the remaining five ones created in 1992.
takes place at 14 months before he/she formally takes on the responsibility. by mobile phone now, they maintain the old usage. Once the Guolu is completed, people return to their everyday life. altars are on the list of reserved days for 2014 to 2015.
several legendary stories widely circulated and recent changes to the ritual. consideration, they provide a foundation for the Liu Fang Ma belief. invited to their villages and the organizations of the martial arts troupes. assistance from the local people and the academic community. more participation and research in the near future.